Ellicott's Retreat is a new 55+ condo community located in Ellicott City, Maryland. Upon completion, it will contain 160 condo units that range in size from 1,489 to 1,776 square feet with two bedrooms, two bathrooms, an attached parking garage space, and elevator access to all floors. All homes feature bright, open floor plans, hardwood flooring, stainless steel appliances, granite countertops and recessed lighting. Homebuyers of units on the fifth floor will also have dramatic vaulted ceilings and an additional loft area. Near the center of the community will be a clubhouse that is sure to be a hub of social activity. The community itself is set among a beautifully preserved wooded area, lending a pleasant, natural feel. Landscaping, building maintenance, and snow removal are all handled by the Homeowners' Association. Ellicott's Retreat is located in charming Ellicott City. There are several grocery stores and shopping centers within a ten-minute drive, making routine errands quick and easy. Historic Old Ellicott City is just five minutes away, offering visitors quaint antique shops, art galleries, and fine restaurants. Baltimore is 20 miles away while Washington D.C. is just over 30, giving residents convenient access to world-renowned cultural attractions, exciting professional sports, and lots of options for rail and air travel. 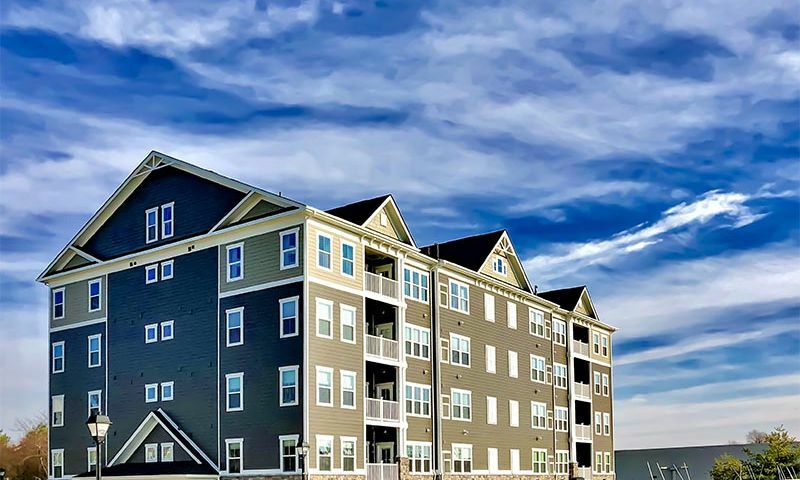 Homebuyers seeking a low-maintenance, 55+ condo community in a wonderful location will find lots to love about Ellicott's Retreat in Elliott City, Maryland. Check back soon for more information on the lifestyle in Ellicott's Retreat. Ellicott's Retreat is a new 55+ condo community located in Ellicott City, Maryland that will contain 160 condo units that range in size from 1,489 to 1,776 square feet with two bedrooms, two bathrooms, an attached parking garage space, and elevator access to all floors. All homes feature bright, open floor plans and balcony or patio space across two floors. Hardwood flooring, stainless steel appliances, granite countertops and recessed lighting are found on all units. Homebuyers of units on the fifth floor will also have dramatic vaulted ceilings and an additional loft area. 55places.com is not affiliated with the developer(s) or homeowners association of Ellicott's Retreat. The information you submit is distributed to a 55places.com Partner Agent, who is a licensed real estate agent. The information regarding Ellicott's Retreat has not been verified or approved by the developer or homeowners association. Please verify all information prior to purchasing. 55places.com is not responsible for any errors regarding the information displayed on this website.